The major objective of this report is to analysis The Marketing Analysis on Premier Bank Limited. General objectives of this reports are to get an overview of the organization’s system and to study its performance and other business affairs and finally, to have information to set up the company’s Marketing Strategy through Marketing Analysis and to know about the market demands and the market opportunities of The Premier Bank Ltd. Finally this report make swot analysis The Marketing Analysis on Premier Bank Limited. Structures to get an overview of the organization’s system and to study its performance and other business affairs and finally, to have information to set up the company’s Marketing Strategy through Marketing Analysis. Privatization of Banking is an outcome of the deliberate policy change by the government of Bangladesh in the late 1970. 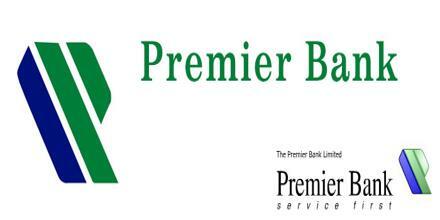 The Premier Bank Limited is the first private bank in Bangladesh. The emergence of The City Bank Ltd. at the juncture of liberalization of global economic activities, after the URUGUAY ROUND has been an important event in the financial sector of Bangladesh. The experience of the prosperous economies of Asian Countries and in particular of South Asia has been the driving force and the strategic operational policy option of the Bank. The company philosophy- “A Bank with vision” has been precisely the essence of the legend of Asian Success. The Government of Bangladesh has The City Bank Ltd., as a scheduled bank in the private sector is pursuance of the policy of liberalization of banking and financial services in Bangladesh. The bank was incorporated as a public limited company on 14th March 1983 under Companies Act 1913 and commenced banking operations through the Principal Branch at 10, Dilkusha Commercial Area, Dhaka on 27th March 1983. Mr. Dean Mohammad was elected as the first Chairman of the board. Bank is a service-oriented organization. With the wide networking and geographical area coverage it emphasizes on its improved services for existence and prosperity. Private sector commercial banks are private companies operated under the legislative framework, which covers both company Act, and Banking Company Act. Like all business entities, bank’s main objective is also profitability and solvency. However, besides the primary objective of profit making, banks also have social responsibilities. A brief overview of THE CITY BANK LTD’s organizational set-up is enumerated in subsequent paragraphs. The relevant market is the set of products and /or services that, management considers being strategically important. Where competition is primarily coming from, i.e., the degree of substitutability. For The City Bank Ltd. case, the management perspective should be to introduce new more branches at different suitable area where they don’t have any other branches and where the competitors did not enter yet. So that, the company could be the pioneer of banking in those areas. We know that the pioneer has the greater opportunity to build up brand loyal in the consumer’s minds. Even though, the major competitors of THE CITY BANK LTD. are some foreign banks who are doing the same types of job, it has to face competition from some substitute organizations, like 7th Mutual Fund, Shadharan Bima Insurance Co. Ltd., Islami Insurance of Bangladesh for Loans and Deposits as well. And other government departments like GPO Shanchaya Bima, Bangladesh Bank Shanchaya Bima etc. work as highly competitors to the Banks as they are paying higher interest rates to the Depositors than that of Banks. In the market Structure, the first step is need and which is financing. The main job of the bank is to fulfill the financial need in the economy and the own financial need as well. To fulfill the stated needs the bank usually goes through two processes or classes. They are: Deposit and Loan. Through Deposit the bank fulfill theirs’ own needs. They collect money from Depositors promising them to give a certain interest rate and lend this money to the creditor at a higher interest rate. The difference between two is there income. Besides that they have other incomes as service charges providing different services to the clients. The deposit has three forms in THE CITY BANK LTD. like Fixed deposit, Savings bank deposit and Current & Contingency deposit considering the time. Three types of loans are also formed in THE CITY BANK LTD. considering the time. They are shown in the figure. The interest rates also vary according to the time a higher rate has to be paid for long-term loans rather than mid- term and short-term loans. The same are happened between mid-term loans short-term loans as well. In figure-1, Sub Form shows how different types of deposits and Loans are made through different sectors. Primary demand is the demand for the product form, sub-form or class that has been defined as the relevant market. Primary demand is analyzed in order to identify growth opportunities for product form/class. Primary demand for this banking service is organizational rather than consumer in nature. THE CITY BANK LTD. needs to be involved more in promotional activities. So that, the consumers could be aware about the advantages of THE CITY BANK LTD.. Buyer Characteristics: Consumers who have income sources are the buyers for the company. Those who have idle money, even though they are not the earning person, are also would be considered as the buyer. Generally, buyer characteristics depend on the followings. Age: People of 18 and over could be the buyer of THE CITY BANK LTD., as people of that age, usually in Bangladesh, earn money or maintain accounts at the bank. People of under that age are students and need not to obtain loan from the bank. Besides that, there is no provision of student loan in the banking system of Bangladesh. In addition, there is age limitation for obtaining loan from bank. Income: Those who are capable of maintaining the required margin of the bank are the buyer of the bank. Generally, Service holder, Industrialists, House-wives are in this panel. The people who are hand-to-mouths are not in the panel. Occupation: Business-people, Service-people, House-wives etc are buyer of the bank. Demographics and Life Style: The potential users are aged 18 and above who own homes. This includes families, single business people, professional couples and the elderly. Medium to high-income households primarily dominate the market as they have expendable income for getting deposit and loan services from THE CITY BANK LTD.
Buying Center: The buying center is composed of “all those individuals and groups who participate in the purchasing decision-making process, who share some common goals and the risk arising from decision.” The buying center includes all members of the organization who play any of seven roles in the purchase decision process. Initiators: Accounts Department if the money needs to be deposited. User: The employees of the bank who are holding their accounts in the bank for drawing their salaries. The employees of any other organization who holding their accounts in this bank are also users. Influencers: Financial Analysts are the influencers of the company’s buying decision. The accountants and the auditors of that company could also be influencers. Deciders : People who decide on service requirements or on providers. The Governing body of any large organization, Managing Director of Mid-level organizations and Sole proprietor of small organizations are the deciders of the companies. Approvers : Administration and The Governing Body. Buyers : The Accounts Officers, Employees, House-wives (sometimes). Customer Turnover: Customer Turnover refers to the rate at which an organization must replace all or a substantial part of the individuals in its market because of a change in some aspect of the buyer’s characteristics. It is clearly seen that the customer turnover is low for The City Bank Limited, as in this year the deposited money is Tk. 19683.30 million whereas, in the last year it was Tk. 17183.98 million. Besides that, this bank never in loss position, always they make profit. a) Have a record of reliable service performance. Businesses want to know that, their financial support will be provided on time and in a presentable manner. b) Be stable and have long-term viability. Businesses want to know that their financial service provider is going to be around for a long time so they do not have to worry about finding new financial service provider if the business goes under. The product / services of The City Bank Ltd. are backed by a moderate level of computerization. The Bank is presently using Local Area Network (LAN) for banking operation, which is capable of generating daily-consolidated statement of affairs of all the branches. THE CITY BANK LTD’s credit portfolio includes term, continues and exports related loans. THE CITY BANK LTD’s credit facilities are also reasonably better than other local banks. Its interest rate ranges from 10% to 16.5%. Although the rate is little bit higher than other Nationalized Commercial Banks, but average customers are ready to pay such interests because of their faster and quality services. Clearing / collection of cheaques and other instruments on behalf of the customers. Locker service at selected branches. Three (3) sizes of lockers are available: small, medium, and large, annual charges ranging from Tk. 1500 to Tk. 4000 is applicable. Bearer’s Certificates of Deposits (BCD). Letter of credit advising and confirming. Opening letter of credit (L/C). Performance bonds and advance payment guarantees (AGP). Guarantees against foreign counter guarantees. Sales and encashment of government securities (BSP, PSP etc.). Banker to the issue for IPO. Price plays both an economic and a psychological role in the service sectors. In country like ours the middle class, upper middle class income groups (target customer for the bank) are very price sensitive. So, price should be comparative. The City Bank Limited should go for a parity pricing because, the bank have to set their interest rate at or near competitive levels. If bank sets the interest rate at lower to that of the competitors’ levels, the bank will have fewer depositors and more creditors. The reverse could be happened if the bank sets their interest rate at higher of the competitor’s level. So, in the both cases the bank won’t make profit. The sale should be direct because there is no scope to sale their service through any media. Sales and Distribution should be exclusively selective because it is not possible to give loans to everybody. Sales should be through single channel. As intangible dominating product, services are not easily advertised. The intangible is difficult to depict in advertising, whether the media is print, television or radio. Service advertising should thus emphasize tangible cues that will help the customers understand and evaluate the service. The advertising cues in different media should be presented physical forms to symbolize the service itself. Personal selling is potentially powerful in services. Customer service personnel should be trained to use this opportunity to reduce customer uncertainty to give reassurance and promote the reputation of the organization. Customers tend to value word-of-mouth communications more than organization sponsored communication, because services are experiential in nature. So, The City Bank Ltd. should attempt to stimulate word-of-mouth communications. The city bank provided good quality service which can earn to new customer. In that case they flow various productive way to assure the quality of service. Friday and Sat day holiday. It means an environment which can explain that the basic characteristics of bank. It could be the interior decoration, the technology using etc. The city bank use world class furniture and relative technology to provided online banking. Payment of customer’s monthly bills. The existing offer can be revised by adding some extra service like payment of customer’s monthly telephone, electricity etc. bills from their current or savings accounts. 24 hour outside withdrawal services (ATM) should be installed. 24-hour phone banking relationship based marketing to sustain and create loyalty among the existing customers. High technology utilization to provide improved services at low cost. Continued evaluation of the problems of the customer. Perception of Utility: To deposit money in a bank or to borrow money from a bank is necessity because of seeking security and fund availability. So, people have to utilize the service of the bank. Usage Problem: People will prefer the services, which have less usage problems. Value or experience compatibility: This is not relevant in the market for banking business, as the service does not require a change in purchase or usage behavior. Banking is a familiar and non-threatening service and has been popular for a long time. Perceived Risk: The willingness to buy a product form or product class will also depend on types of risks perceived by potential buyer. In general, the perceived risk for this financing service will be low as it is a very established form of deposit and loan in Bangladesh. Specifically, there are six types of risk that may exist when purchasing a product form or class. Economic or financial Risks: This will usually be high as there is a possibility whether the creditors could be able to return the amount that they borrow from the bank. The fisher effect could be a risk for this. Time or convenience risks: This will vary depending on the kinds of businesses. The short-term loan has less and Long-term loan has high time risk. Performance risks: The speed of processing to approve a loan is relating to this risk. Longer processing time to approve a loan might result in dissatisfaction among the customers. Physical/Social/Psychological risks: Change in Government policy, religious awareness can pose a threat to this kind of business. (e.g. interest is forbidden in Islam. So, it will affect the willingness to buy). Cost Factor: If the interest rate and other service charges offered to the customers is competitive, it will cause to the customers to be incapable. Spatial Ability: The number of branches throughout the country will increase the accessibility of the customers. The Government in order to make-up the fiscal deficit had resorted to bank borrowing from the public by way of issuing bonds at higher rates of interest. This has naturally affected bank’s traditional source of deposit mobilization because the depositors find investment in bonds more attractive for the reason of higher tax-free rates of interest. In spite of such major economic dictates the total deposit rose to Taka 10,509.85 million as on 31st December 2002 showing a substantial increase of near about 24% in comparison to that of last year. The significant growth in deposit enabled the bank to expand its business and performing assets and also had an impact on the profit of the bank. Table-I shows the deposit mix of THE CITY BANK LTD. of the years 2001 & 2002. Deposit Mix of THE CITY BANK LTD. in 2001& 2002. Selective demand is the demand for a specific brand or supplier within the relevant market. Analysis of selective demand will help us to under stand how buyers make choices from the alternatives. The demand for the each service is analyzed separately comparing to the same services offered by the competitors. High-Low involvement purchase: Purchase is high for the commercial buyers, as they earn money more, deal with bank more and need more loans. Routine response/ modified rebuy/ New task purchase : Routine response is high for the existing clients and they can switch to other forms of services (e.g. From saving accounts to current accounts.). Method of communication with customers/ how company disseminate info to the target consumer: Monthly financial Statement is sent to the each individual customer so that, they aware of their balance. Needs and Desired end benefits: The needs and desired end benefits of the customers are to satisfy financial needs and obtaining securities for their funds. So, the market could be segmented in terms of who wants loan and who wants to deposit. The combination of both could be segmentation. Purchase Behavior: In The City Bank Limited, the market would segment in terms of usage basis into Long-term, Mid-term and Short-term creditors or depositors. Value & Lifestyles: The market could be segmented in terms of customers values and their lifestyles. Those who have accounts in this bank depositing more than Tk. 5,000,000 could one segment calling them V.I.P clients and those who have less than Tk. 5,000,000 could be another segment. The power of buyer in this market is fairly high as there are no real switching costs, little differentiation. There are many competitors to choose from. The power of suppliers in the consumer financing services industry is relatively low. Because The City Bank Ltd. is not only the one bank who provide this service, all Govt. banks and many of the private banks can provide this service. The threat of substitutes in this market is high and it is increasing day by day. Some of the mutual funds, insurance companies and other organizations relating to this are being introduced in Bangladesh. The threat of new entrants is highly increased particularly in private sectors. In Bangladesh, new private banks are being introduced. Competitive rivalry in the banking services industry has increased from a monopoly situation into a highly competitive; rapidly evolving industry where companies must constantly be expanding their service offering in order to stay competitive, competition is based on service charge and brand image. Almost all banks provide same kinds of offer to the customer the porter’s five forces analysis reveals that the major threat is from new entrants and bargaining power of buyers. To compete with new entrants The City Bank Ltd. need to set up strong barriers to entry. To reduce the bargaining power of buyers and threat of new entrants they will need to create switching costs by emphasizing differentiation and superior service and quality. Out of five forces as analyzed by porter, one is not relevant for The City Bank Limited and that is why rest four forces are discussed here. The main competitors for The City Bank Ltd. are Prime Bank, AB bank and Dutch Bangla Bank etc. There are many other banks that provide financial support. But these three are their main competitor. The City Bank Ltd. has gained reputation through clean and posh interior design of lay out. It also provides prompt services with higher degree of secrecy. It has a good management team and disciplined work force. Professional in manager striving for excellence. Installation of good communication system that enables the Bank to have on time communication with all branches which reduces excessive paper work and saves time for valued customer’s transaction. Service charge in some areas is higher than that of the nationalized banks, which discourage middle class customers. There in no overtime allowance for employees who have to stay in the bank till 8 p.m. It denominates those employees. Now a day most of the customers expect personalized service, which The City Bank Ltd. Can provide during the business hour. Opportunity retail banking lies in the fact that the country’s increased population is gradually learning to adopt consumer finance. So, the retail lending products have opportunities to tap the market of middle class service holders. Bangladesh is a developing country. The investment potential of Bangladesh is attracting foreign investors. So, The City Bank Ltd. has opportunity of expansion in business. Some foreign banks and private banks are threat to The City Bank Ltd. like Dhaka Bank, Prime Bank, Dutch-Bangla Bank etc. AB bank charge low interest on loan. They provide large amount of loan. They provide their service through 67 branches which covering maximum districts. Their standard monitoring system helps them to provide better service. Their website is decorative with rich information. Effective and unique television commercials and many other alternative ways to communicate with customers. Which drive huge levels of brand awareness among the core target customers…? They maintain long-term relation with their clients. Their staffs are very friendly and efficient. Their all staffs are highly educated and qualified. Service sometimes poor due to large amount of clients. Because of communication gap sometimes long-term relationship is break-up. If any one takes this service he/she need personal guarantee. High brand awareness (easily identified name and logo). They don’t want any kind of personal guarantee for their loan. Their offices are well furnished and decorated. They charge high interest on loan. They provide small amount of loan. Their monitoring system is not well for this reason their service is hampered. They have limited branches that dose not cover maximum of target customers. Their banks are well-reputed and established bank. They have smart and well-behaved staffs. They have limited branches for this reason they are not able to fulfill their clients wants and needs. Their monitoring system is not well. If any one takes this service he/she need two personal guarantees. The Average bank interest rate on credit scheme is 12%. The average customer age from 18 to 18+. VIP customer (Those who has minimum balance on their accounts of Tk.5, 000,000). Those who has balance on their accounts of less than Tk.5, 000,000. Their all new customers must be referred by two of the existing customers. Industry growth rate is 10% to 15%. Among the four market segment the ‘purchase behavior’ is the most popular one as there is a scheme for housing loan which is a market niche. As they are the monopoly among the banks, they will have more customers for that scheme. So, the bank must focus on this scheme. Officers or Executives of different private/multinational Companies, Corporations, banks, Insurance companies. Officers or Executives of different Government or semi-Government or Autonomous Bodies, NGOS, International Aid Agencies and UN Bodies. Self-employed professionals (Doctors / Engineers / Chartered Accounts / Architects / Lawyers / Consultants). Banking has changed enormously in the last decade. Management of bank credit is becoming complex because of fast growing needs of the economy in the context of changing business scenario in the increasing competitive environment of today in which the banks are functioning. Banking sector is considered to be one of the key areas of financial institutions. we are tried to discuss the organizational issues highlighting the positive and negative aspects and opportunities as well as the basic orientation of the bank . Then mainly we focused on the market analysis of THE CITY BANK LTD. as well as tried to compare the performance and the potentiality of this bank with that of the Prime Bank Ltd. in the center part of the report. During the analysis we have seen that Prime Bank Ltd. is doing better than THE CITY BANK LTD. in the recovery of unclassified loans and advances but THE CITY BANK LTD. is ahead in the recovery field of classified loans. The over all view is that THE CITY BANK LTD. is moderately doing better in the recovery of its outstanding loans and advances. Since the banking sector is getting competitive THE CITY BANK LTD. must follow a strong recovery and loan management system for faster service to its customers. It is expected that The City Bank Ltd. continues to prosper in the coming days and the management should boldly navigate the organization in this turbulent ocean of competition as the bank embarks in to a new millennium.